Medical waste – Da Trans Ltd.
With a license by the Regional Inspectorate of the Environment and Water "Da Trans" Ltd. is a company dealing with the collection, transportation and deposition for disposal of hazardous medical and biological waste generated by medical institutions and veterinary clinics. 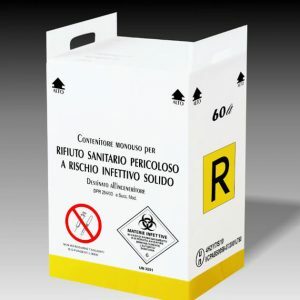 The environmentally sound management of hazardous medical waste by medical institutions is of great importance to prevention and limitation of the negative impact of waste on human health and the environment. It holds a high level of public risk because of the possible spread of contagious and infectious diseases. Medical and biological waste is generated as a result of various manipulations and interventions related to the activities of the medical institutions. Contains infectious microorganisms; contains toxic chemicals with oxidizing, irritating or flammable features etc. ; radioactivity, existence of sharp objects. 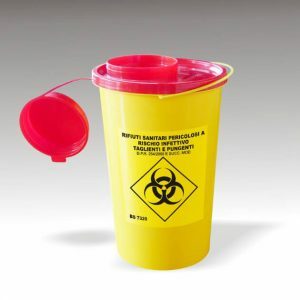 The separate collection of medical waste is the key to its effective management. 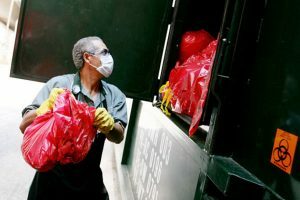 It guarantees the choice of the right method for disposal, the safety of personnel, the minimization of damage to the environment and recycling at the lowest resource expense. The formed waste should be divided and collected in accordance with the specifications of its treatment. To facilitate its clients the company offers delivery of licensed and ADR compliant containers for single of multiple use depending on the capacity of the clients' emergency site. The collected and transported medical waste is released for subsequent disposal to the licensed installments. 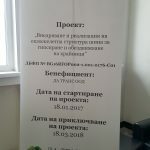 Completion of waste collection and transportation activities follows the requirements of the Waste Management Act and REGULATION №9 about the order and patterns in which information about the activities is given, as well as the order of management of the public registry of the issued permits, documentation for registration and closed sites and activities. The quality of the service that "Da Trans" Ltd, offers is guaranteed by the company's EN ISO 9001:2008 certificate obtained in 2010 for its activity- collection and transportation of hazardous waste from humanitarian an veterinarian healthcare.